Gorenje Group is for the first time presenting its premium home appliance brand ASKO at the EuroCucina fair in Milan which specialises in built-in appliances for the high end kitchen. Although it is the brands first time at this prestigious event, it feels like coming home. EuroCucina in Milan showcases all the latest in the realm of high quality kitchens, responding to the escalating demand for functionality from increasingly savvy consumers. ASKO with its premium quality, professional build and Scandinavian design meets those demands perfectly. »The decision to present Gorenje Group on EuroCucina for the first time with our premium brand Asko was well thought out and considering the first enthusiastic responses of business visitors also a very justified one. Acquiring the Asko brand we gained a brand with tradition in Scandinavia, Australia and the USA, specialised for dishwasher and laundry appliances, which we upgraded with premium cooking appliances. Doing so we built a firm foundation for a gradual but bold global growth of Asko as a full range supplier of the highest price segment,« says Franjo Bobinac, Gorenje President and CEO. 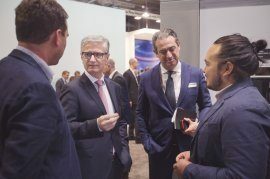 With the addition of cooking appliances to its assortment and global expansion, ASKO can be considered the rising star in the high end and premium home appliances industry. 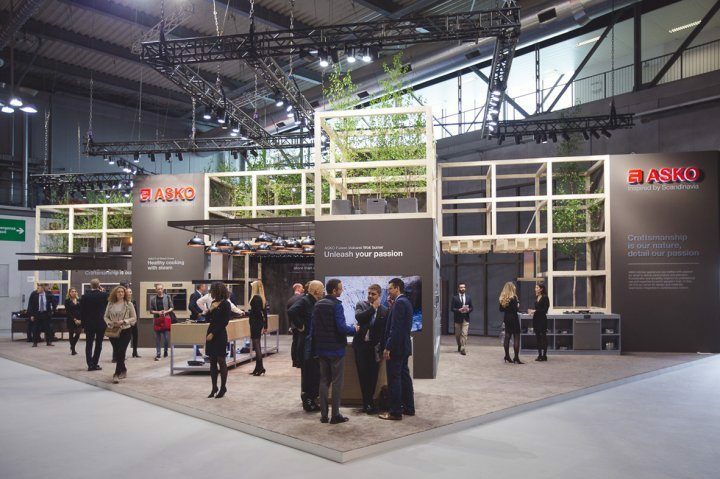 With the introduction of ASKO in France, Italy and Latin America, the brand is now available in over 30 markets and well underway to hit its targets. More than 50% of the ASKO sales is coming from outside Europe. In 2016, ASKO expects a sales growth of 14%, with a growth of 24% in cooking appliances. Acquired by Gorenje Group in 2010, ASKO transformed from a segment specialist to a true full range supplier of high end and premium kitchen and laundry appliances. It has shown to be a visionary step, as the global market for premium appliances is growing and even in the stagnating European market the portion of the premium appliances has been stable. The Group’s target is to double the revenue share of premium appliances to 30% and to increase the sales outside Europe to 14% by 2020, with the ASKO brand being the key driver to achieve these targets. “People are falling back on traditional values, and are staying at home more often, thereby setting a higher standard for their interiors. They have a preference for quality, calmness, beauty and humanity. Scandinavian design has all these qualities. ASKO appliances are crafted with passion for detail to deliver performance and precision. Functionality and durability inspired by professional use and expertise to enrich people’s lives. Craftsmanship is our nature and the secret to success,” says Matteo Camesasca, Division Executive Director at ASKO.